Gardening experts always advise: Don't plant mint. Or if you do, plant it in a self-contained pot. Because mint is the virus of the gardening world. It spreads easily, sometimes mercilessly, and it's almost impossible to control. It just keeps coming back until it's taken over. I don't subscribe to the experts advice. Because I like mint. (And because I'm lazy.) So I have a rather large crop of mint in my backyard, that grows larger every year. Come August, the mint is a little smug. "You are so toast, lady. I'm going to own this yard in a few shorts weeks, and there's nothing you can do about it." Enter this recipe. It requires two cups of fresh mint leaves to make this ice cream, which results in some of the lightest, brightest, freshest mint flavor you've ever laid taste buds on. And pulling that much mint will show your plant who's boss. And if it gets sassy again, make more ice cream. Or just smile with the knowledge that winter will be here soon enough. End game, mint. End game. 1. Add the milk, sugar, 1 cup of the heavy cream and the salt to a medium saucepan. Cook and stir over medium heat until sugar has dissolved and the mixture is warmed through. Add in the mint leaves and mix to combine, making sure all the leaves are immersed in the mixture. Remove from the heat, cover, and let steep at room temperature for about an hour. 2. Set a fine mesh sieve over a medium bowl. Pour the mixture through the sieve, pressing on the leaves to extract as much flavor as possible. Discard the mint. Add the final cup of heavy cream and the vanilla and stir. 3. Let the mixture cool slightly, then cover and refrigerate until thoroughly chilled. Freeze the mixture in an ice cream maker according to manufacturer's directions. Near the end of the churning process, add in the chocolate chips. 1. 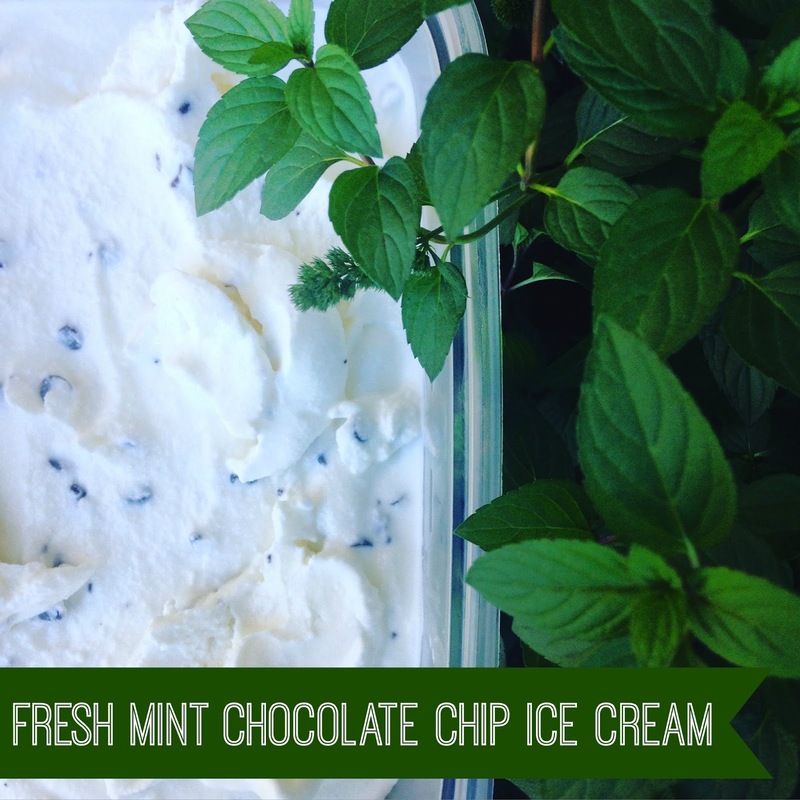 Your ice cream might end up with a very subtle green tint, depending on your mint. Or it might stay white. If you want that classic mint green color, add a few drops of green food coloring before you put the mixture in the fridge to chill. 2. I have a Cuisinart 1-1/2 Quart Ice Cream maker and I love it. This recipe makes the perfect amount for that size of ice cream maker. 3. If you're an ice cream aficionado, you will notice I don't call for egg yolks in this recipe. That's because I don't find the texture of custard-based ice cream to be enough of a reward for the work entailed. 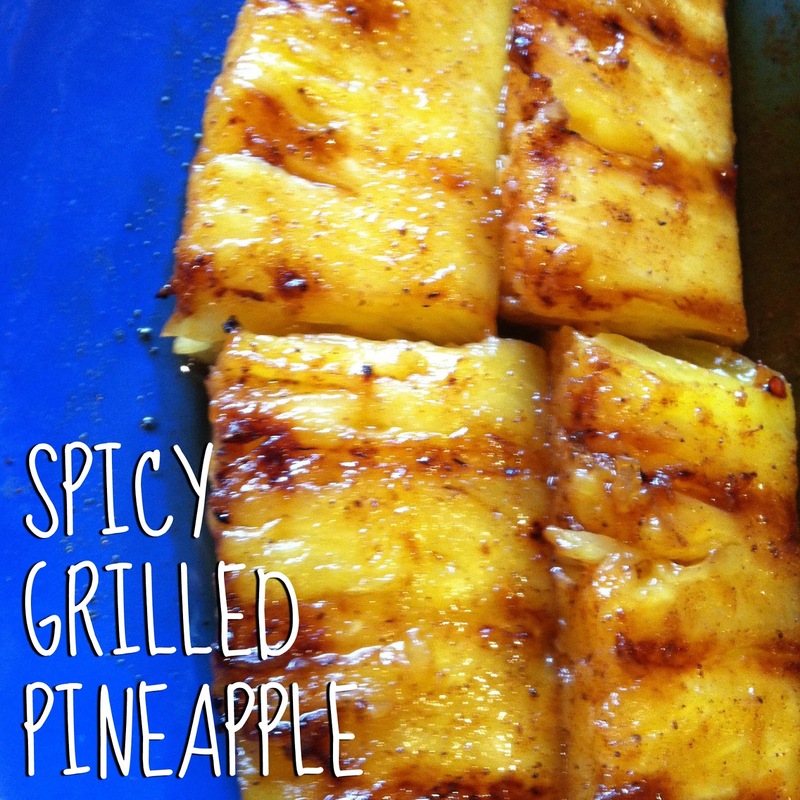 Spicy grilled pineapple might be one of my favorite summer desserts. And that's saying something, because: Pie. Ice cream. Fruit cobbler. S'mores. Pie. This dessert shoots to the top of my list because it's SUPER easy but unique enough that it impresses people. Plus, all that caramelized goodness on top of sweet pineapple? It's hard to beat. Don't forget the ice cream. 1. Peel the pineapple and core. Cut into long wedges. You should have about 8-12, depending on the size of your pineapple. 2. Combine the juice, sugar and spices in a small bowl. 3. Put pineapple in a glass container or a Ziplock bag. Pour marinade over, and cover or seal. Marinate in fridge for 1 hour or overnight. 4. 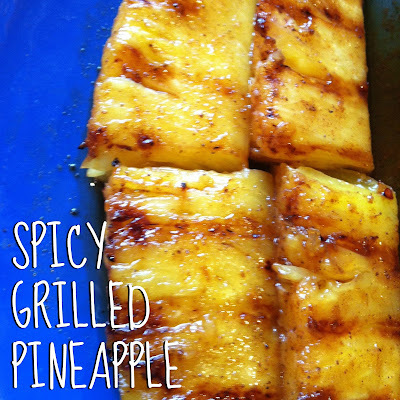 When ready to grill, remove pineapple from marinade and grill over medium-high heat for about 15 minutes, turning once, or until edges are brown and crisp. 2. Serve this with ice cream for an extra special treat. Top the ice cream with the extra marinade if you want your friends and family to weep with joy.